“In 1970, Matthews left the advertising world to form an art partnership with Terry Brace, who was an acquaintance from art college days and had played in the same band (Barnaby Goode) for a while. The partnership was related to a music agency and the two businesses were given the name Plastic Dog (graphics and music agency). The name was a joke at first (family dog! ), but eventually became official. 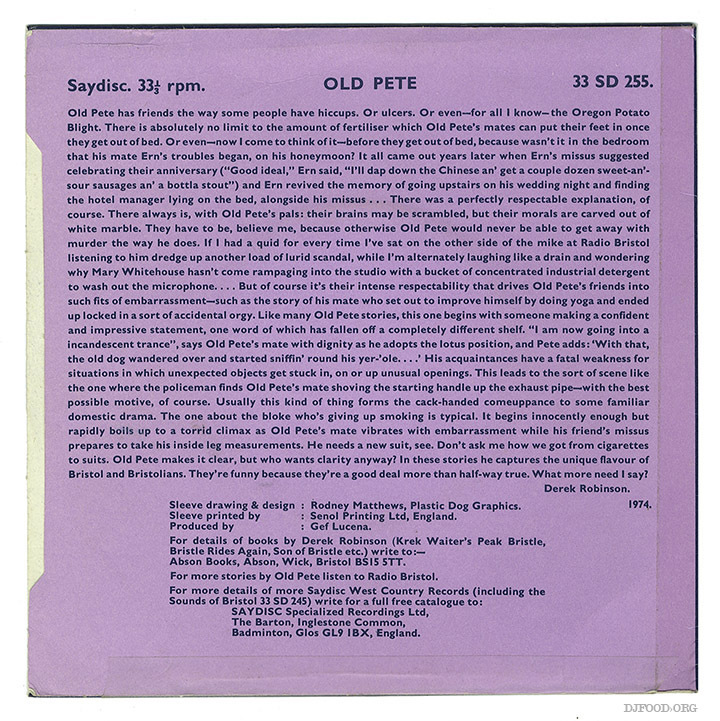 This sleeve dates from a year later so must be one of his first, but I can’t find it listed on Discogs although the label, Saydisc, is there. 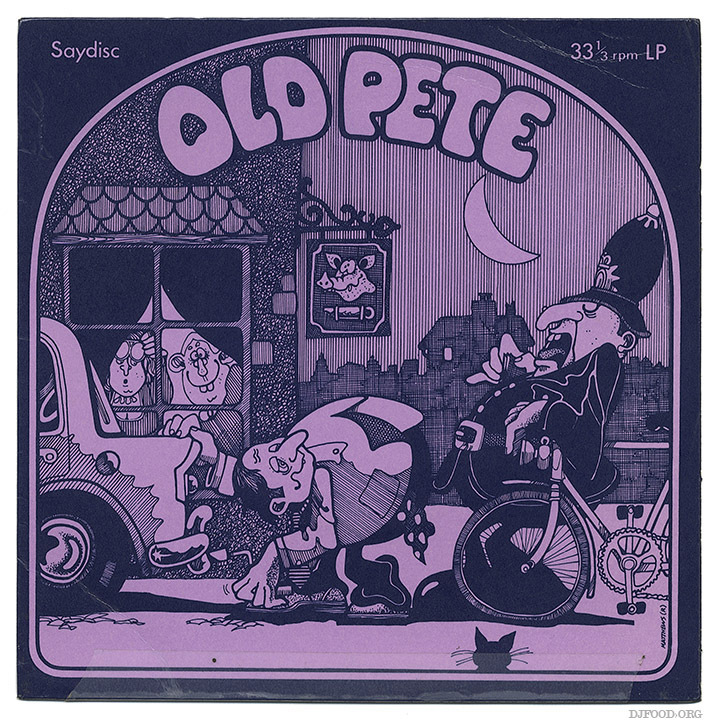 The content on the record is first person narrative, dodgy stories of the character Old Pete and his misfortunes, probably similar to a Viz of its day, although way tamer, more like pub banter.